Marjorie Pagani, Chief Executive Officer and Director of Angel Flight. Marjorie is also a practising barrister, and has assisted Angel Flight, on a pro-bono basis, particularly in aviation law, since the inception of the charity in 2003. She was also one of the first volunteer pilots, and holds a commercial pilot licence with instrument rating and twin-engine endorsement, and owns her own aircraft. Marjorie took up the position of full-time CEO in early 2015. 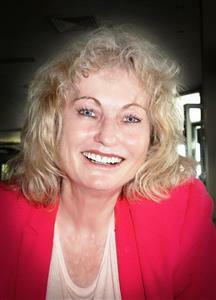 In addition to her legal practice, and assisting Angel Flight, she was a long-serving presiding member of the Qld Anti-Discrimination Tribunal, the Queensland Mental Health Review Tribunal, and the former North Qld Parole Board, as has held positions on both government and private Boards. She has retired from the RAAF after 17 years of service as a Squadron Leader in the RAAF specialist legal corps reserve, and has recently been appointed to the governing body of James Cook University (the JCU Council). Marjorie lives in on her farm in Tolga on the Atherton Tablelands west of Cairns, with her husband (a chief pilot and Angel Flight volunteer), where she runs a farm-animal rescue program. She has three sons and six grandchildren, and flies down to the Brisbane office of Angel Flight each week. 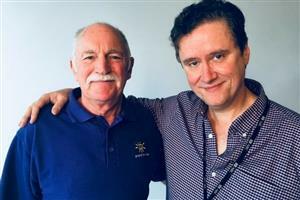 Dennis is a member of the Kenthurst Rotary club and has been a volunteer with Shine for kids for almost 10 years. Shine for Kids nurtures children who have been traumatised by parental incarceration through early intervention and diversional programs. He has presented to some 80 Rotary clubs revealing some disturbing statistics relating to the state of our criminal justice system and the effect on young children. Having had a parent in prison as a young man, Dennis is well qualified to comment on this growing humanitarian problem we are facing. Social Media - What is it? and how can it help your Rotary Club! An overview of social media in today’s society, incorporating how members can utilise it, to help build their clubs membership & profile in the community. Fiona has been involved with Rotary since 2006, when she was chosen as a member of the District 9690 GSE team to North Carolina in March 2007. Upon returning she joined the RC of Lower Blue Mountains. After a few years gap, she rejoined in 2015, and has been actively involved with the Club’s Public Relations Team, particularly Social Media. In July 2017, she took on the role of Markets Administration for the clubs fortnightly Market. 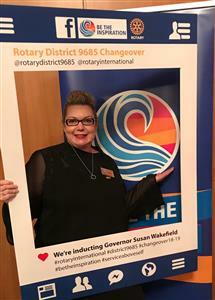 She is currently the District 9685 Public Image Co- Director for 2018/19 and 19/20. While not engaged in Rotary duties, she works full time as an Account Executive for Clarins, a luxury French beauty brand, after having worked in department store retailing for over 20 years. Her vocational classification is Sales & Marketing. All materials and photos, unless otherwise specified, copyright of E-Club of Greater Sydney.